1.Log on to Moodle and select the desired course. 3. 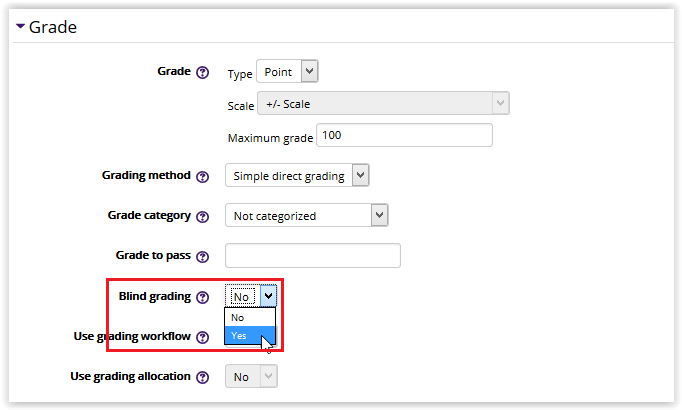 Click Edit next to the Assignment you would like to update, and then select Edit Settings from the drop down menu. 4. Expand the Grade menu. Select Yes in the Blind Marking dropdown box. 5. Scroll to the bottom of the page and click Save and Return to Course.